“Locky”, the sign said above this beautifully shaped light green vegetable. Or I assumed it was a vegetable. I love trying out something new, so I could not resist. I just had to try it, I would find out what to do with it later. 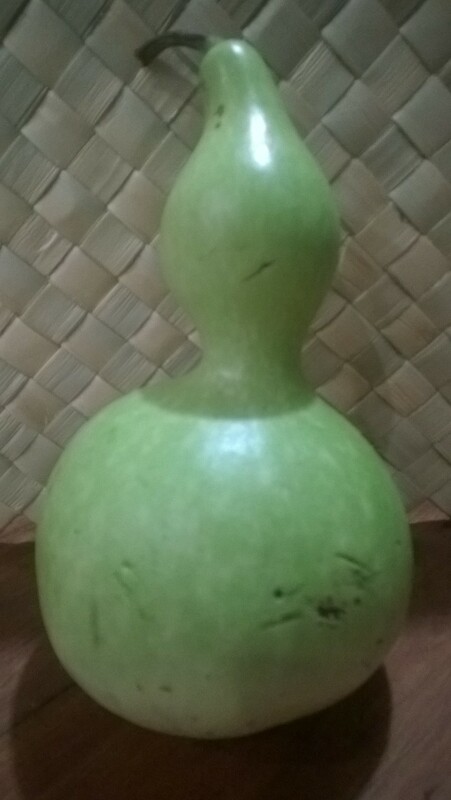 After some research I found out it was more often called Lauki or Calabash and used a lot in Indian recipes. When I saw the reference to Calabash, I remebered I once bought a very exotic looking handmade instrument called a calabash drum somewhere on the roadside in South Africa. Unfortunately I had to leave it behind as customs would just not let that through. I had never realised you could actually eat them! But there are lots of recipes with young Lauki. Curries, salads, stirfry’s. I decided to use it in a vegetable soup. It’s very nice and light in taste, almost like a slighly less watery cucumber. You peel it, scrape out the soft core and cut the rest of the white flesh in pieces to be used. I mixed it with carrot, swede, jerusalem artichokes, onion, garlic, some ginger and some cabbage, a good vegetable stock and cooked it for about 20 minutes in my pressure cooker. Served with some homemade garlic bread it was a pretty worthy end to this Locky foodadventure! 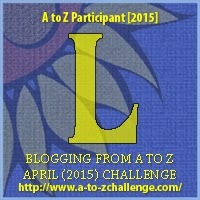 This entry was posted in A to Z challenge and tagged a to z, cooking. Bookmark the permalink. I’ve never heard of this vegetable but you have made me curious. I’ll look for it in our grocery stores. I can’t resist new fruits and vegetables either 🙂 It sounds delicious!